Can we be honest for a minute- finding the perfect gift for all the loves in our lives can be a bit overwhelming, right? Tell me it’s not just me. There’s so much to do around the holidays… and p.s. : our normal lives don’t stop… so it’s basically just lists after lists this time of year. 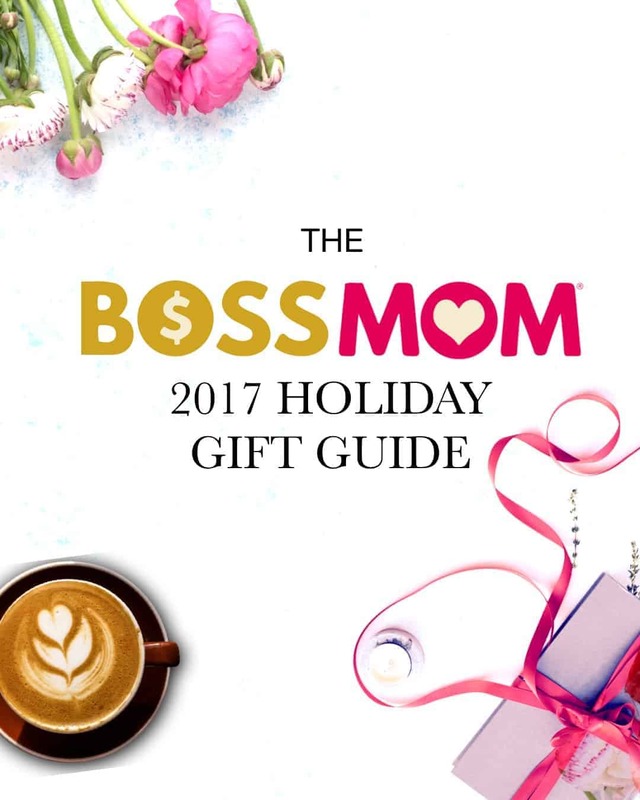 Thankfully, I squeezed in some time to make just one.more.list because here at Boss Mom, we wanted to share a few of our favorite things to gift the Boss Moms that totally rock your world throughout the year. There are affiliate links present in this post. Podcast microphone: For the Boss Mom that’s taking her business to the next level and diving into podcasting, you’ll want to gift this podcast mic to help get the job done from the very first moment she goes LIVE. I use and love this one….Audio-Technica ATR2100-USB Cardioid Dynamic USB/XLR Microphone (more details and a link down below). Selfie ring light for your phone: It’s a selfie kind of world my friends- but that doesn’t always mean we have a selfie kind of setup. That stops now with the B-Land Cell Phone Holder with Selfie Ring… no matter where you are, just clip on and set up for quality videos and pics! Caseling podcast traveling mic: As your biz bestie’s success takes off (like no doubt it will) she’ll be on the go and need to take her tools with her. Give the gift of traveling with ease with Caseling’s traveling podcast case and mic. Aqua Notes water proof note pad: Who else gets their best ideas while in the shower? There’s nothing like a steamy, sudsy 5 minutes (we are moms after all) to hash out our thoughts- and with this waterproof note pad you can ensure your friend never misses her next big idea. PS: This is a great (and inexpensive) client gift. La Chatelaine 20% shea butter hand cream large gift tin set: This organic Argan Oil hand cream is the perfect self-care treat after a long day hammering away on the laptop – or a quick break to show those hands some love. Hydrating, nourishing, and paraben-free, your loved one will appreciate taking a moment to pamper herself. I loved this so much that I bought multiple sets and included the hand cream in the Boss Mom Retreat Facilitator’s gifts. A Branded Skin For Your Laptop : Nothing says ‘boss’ more than your own branding splashed across all of your favorite things. Whether you’re sitting in your home office or working from your favorite watering hole, with a customized laptop skin you can be sure to let everyone know who’s on top of their game. KIVA Gift Card: After all, it is the season for giving thanks and giving back, right? Support your favorite entrepreneur in all her efforts through the non-profit KIVA which supports making online donations to those who need a little something to keep the spirits high and their eyes on the prize. Boss Mom Action Journal: Perfect size to take anywhere you go, the Boss Mom Action Journal helps to keep your thoughts and to-do’s in one organized spot. For every busy Boss Mom who’s juggling a thousand tasks at once – or making Christmas lists like this one – the action journal will help you to finally get things done without losing a single ‘note to self’. Boss Mom Books: Whether you’re looking for a mindset shift while raising your babies and your business (at the same time) or on the hunt for confessions of fellow Boss Moms just like you, both of these books will bring you guidance, clarity and a few laughs along the way. Boss Mom Mugs: Because, coffee. OK… not all Boss Moms drink coffee, but hot tea tastes pretty great in there too. 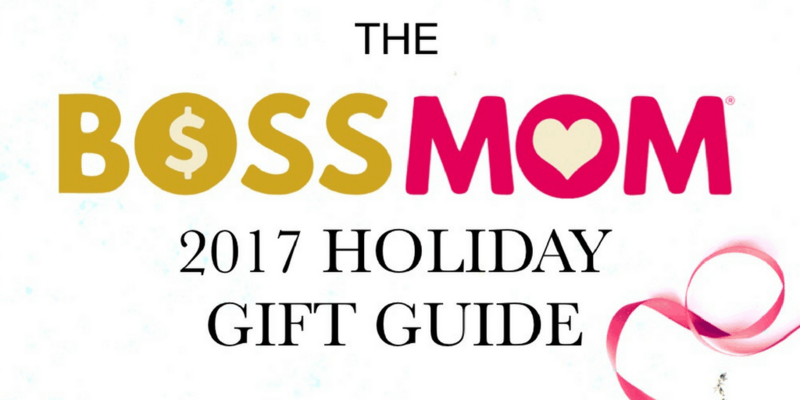 No matter what you’re sipping to help get you through the day, a Boss Mom mug makes a great gift for anyone whose face you love. Irena’s Yoga Club: I’m talking TRANSFORMATIONAL here people! No kidding (I do headstands now, and I never thought that would be me.) Fellow Boss Mom Irena’s virtual yoga club helps to get you out of your chair and into….well, chair pose (but so much more!) And the best part is you can do it from literally anywhere in the world. Muse: For those that have officially caught the self-care bug, take it from me, you’ll want to gift them the MUSE. With the brain-tracking headband, MUSE helps anyone and everyone meditate easier – and faster – while still reaping all of the amazing benefits and rewards. Love Justly: Let me just start by saying this: they’re my favorite earrings… ever. Simple and sleek, these handcrafted earrings are made from artisans in India and come from a company committed to Fair Trade and ethically sourced products. Does it get any better than that?! Intentional Book Club: While some look at a bookshelf as simply a bookshelf, Boss Mom Samantha Munoz sees an opportunity to curate exciting and meaningful collections of books that will instill the values you want your children to grow up with. The Intentional Book Club is a monthly membership for parents to easily find the best books to fit with their family principles- and a subscription to this would be a fantastic gift for any family to enjoy. Eating Clean Cooking Dirty: This is meal prep made simple (and super delicious too!) With 3 different options – Feeding Your Family, Feeding Yourself or Feeding Your Clients – Sam (yes, another Boss Mom!) provides easy and delicious ways to plan your meals from start to finish, saving time, money and hundreds of no good calories! So many good things on this list and well I think I want at least five of them!